A classic fedora style for city/urban wear. Named after Banjo Patterson, the poet who penned "Waltzing Matilda". 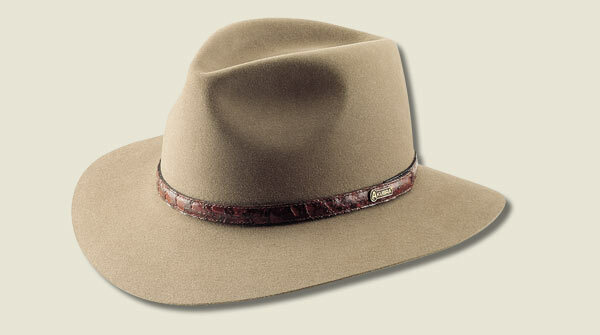 Hatband is crafted from Barramundi Game fish.